Look at exclusive Production Packages to position your Product where your Brand Vision takes you. You have a wider range of products within your business? Great! Let us make your product shine at the most beautiful and exclusive sceneries for still and model/life shootings. 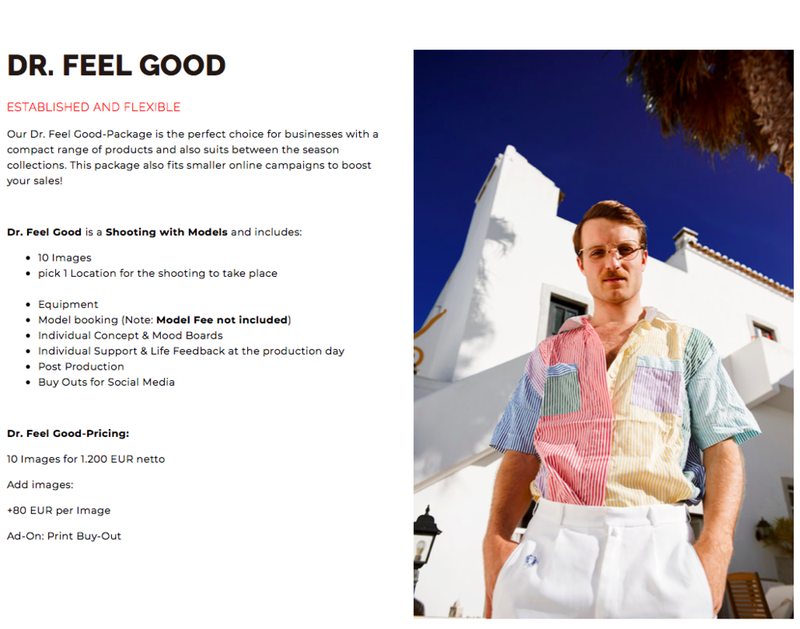 Our Agent PSY-Package is an absolute win for your mid sized or bigger company, and a great choice for Editorials, Lookbooks and online campaigns. Find the Shooting Package that suits your needs best, we are proud to offer you the best creatives to work on the Shoot you choose. Find exactly what you are looking for in a Shoot. Rest relaxed knowing that your Production goes exactly your way. Book your next Shooting all around the World to position your Brand wherever your Vision takes you.